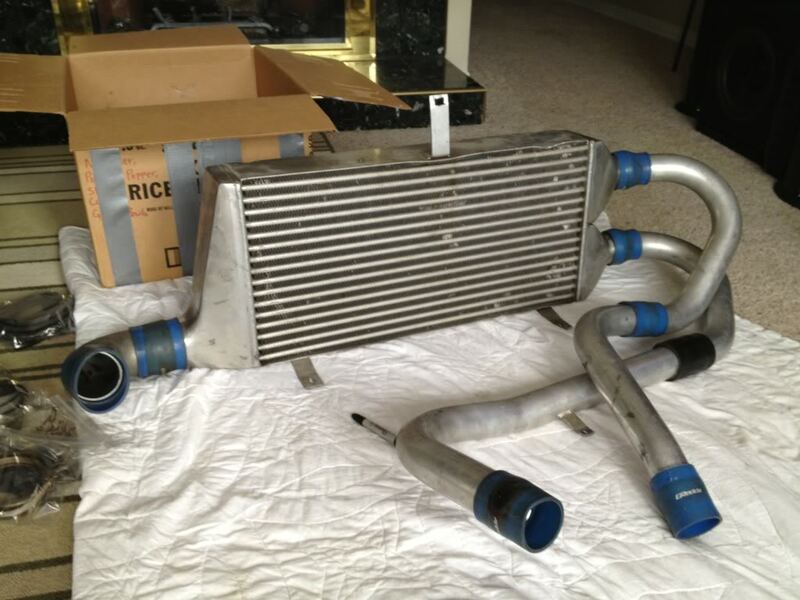 I found a used greddy 18g twin turbo kit off the trusty internet a few months back and decided to pull the trigger…I think I got an amazing deal for the twins and the intercooler setup - everything but the emanage and the injectors…which I wouldnt use anyway bc I am running the haltech and deatschwerk 600s. 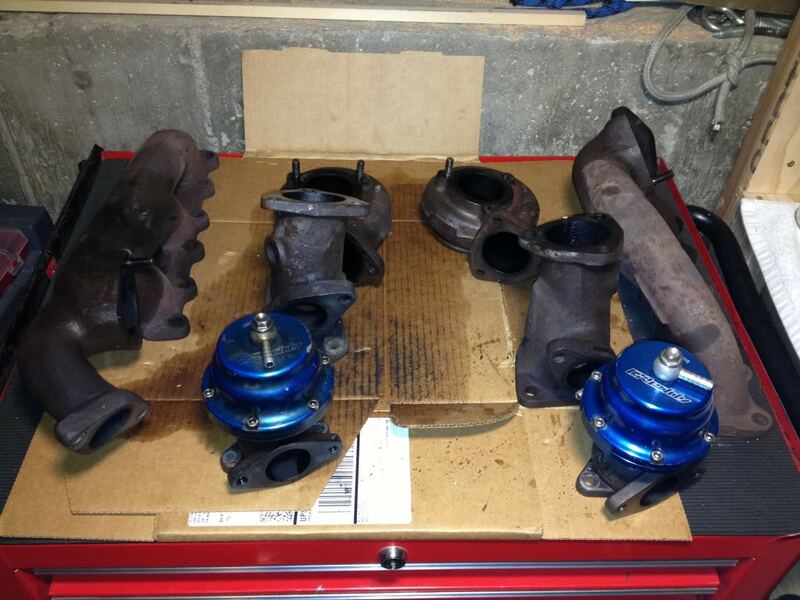 The catch to this purchase is that one turbo leaks and has very minor shaft play…so both turbos will need rebuilt…thinking of doing the 20g swap…additionally, I will replace all the hardware before the summer. taking this really slow (I'm still nuts deep in my weight reduction) - I don't have a ton of cash to throw at this and I need to upgrade a handful of items along the way. Which I will pickup and hopefully have everything I need by summer. I am going to modify the bumper and hood to allow maximum airflow - my main concern (after the turbos) is to dissipate heat. 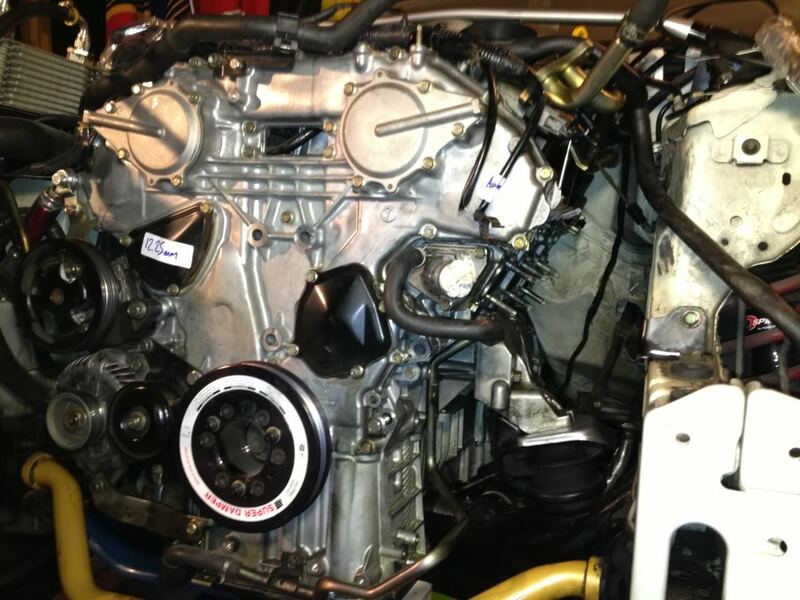 Large openings for the intercooler, radiator, oil cooler and side openings to move air up to the turbos and out of the hood. Last edited by bealljk; 09-08-2017 at 10:37 PM. 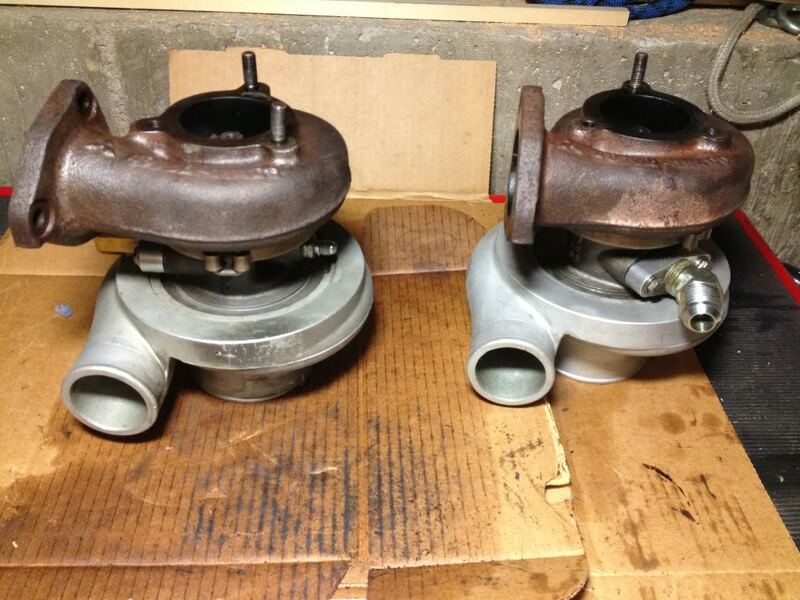 For the rebuild I recommend Blouch turbo. They did a very nice job on the turbo 996 billet wheel upgrade. Nice BUILD!!!! 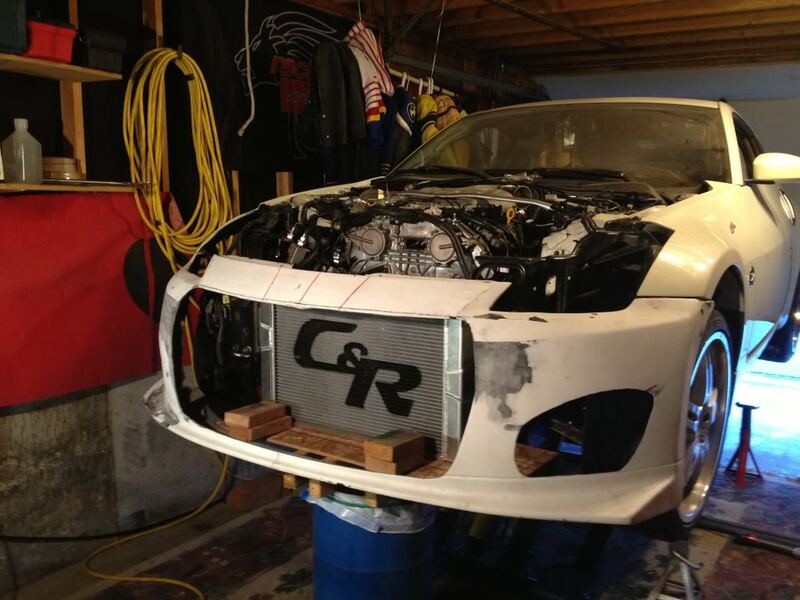 Keep us posted..
More cuts on the bumper…getting closer to final shape. 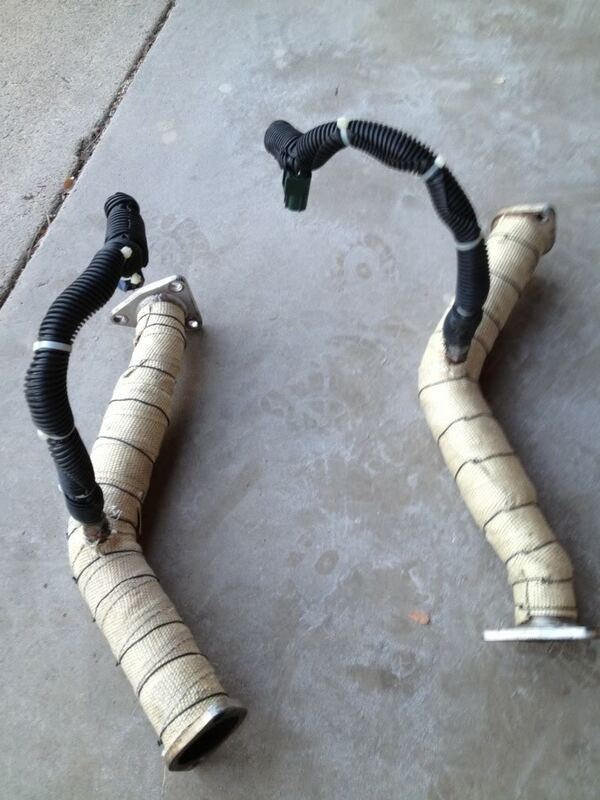 got my latest shipment of heat wrap on friday and finished the exhaust wrap. 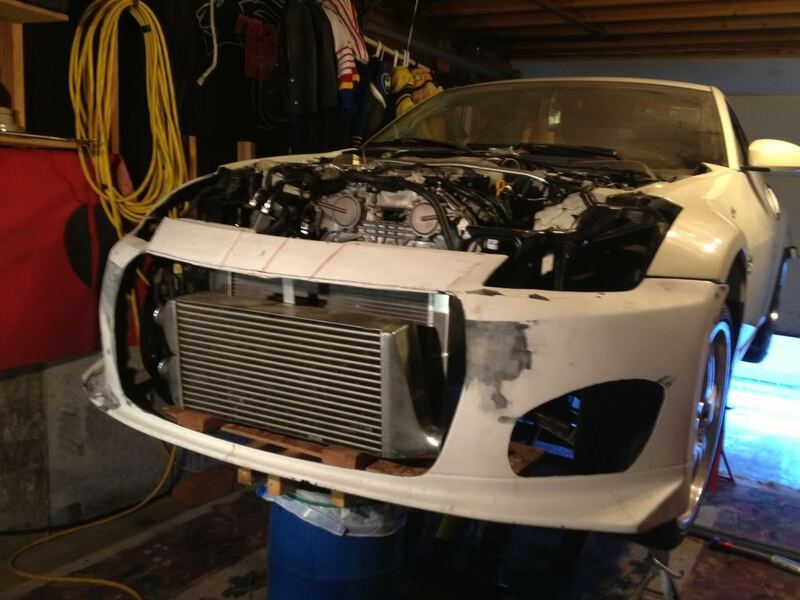 The bumper fabrication is pretty kool idea in showing intercooler piping. 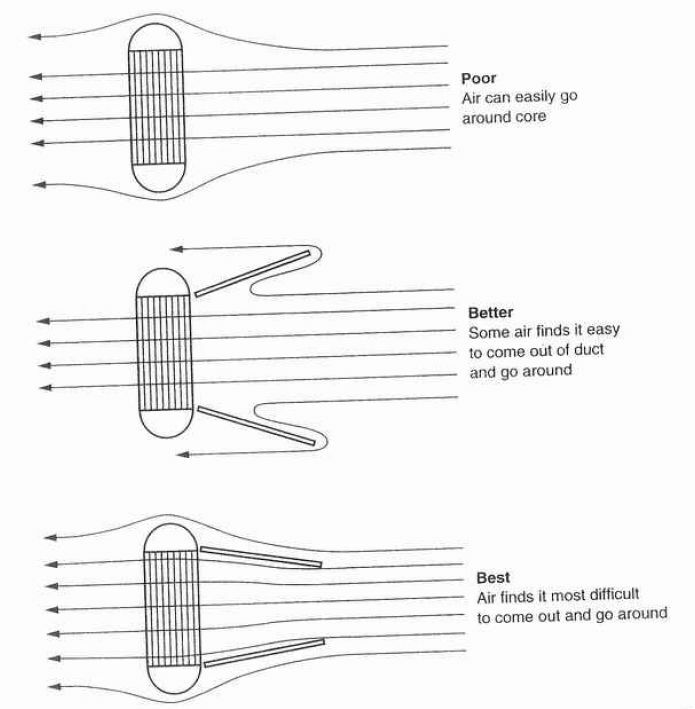 It would be interesting to know the aerodynamic characteristic effects though. Oo this is going to be fun! Yea - it's pretty flimsy just below the headlights. I don't have a solid plan right now but I may make a aluminum plate re-inforcement. Either rivet it or epoxy it in place…I've got some time to figure that out. My overall intent is to maximize air flow through the ic/radiator/oil coolers, up and out through the hood(which I will also hack up). But showing the duct-work and the radiators are a bonus! Last edited by bealljk; 01-27-2013 at 07:55 PM. The headers were easier to get off than I initially thought…the key was to remove the engine mounts and support the engine with the floor jack. Last edited by bealljk; 02-16-2013 at 04:30 PM. Not the biggest fan of the bumper :/. 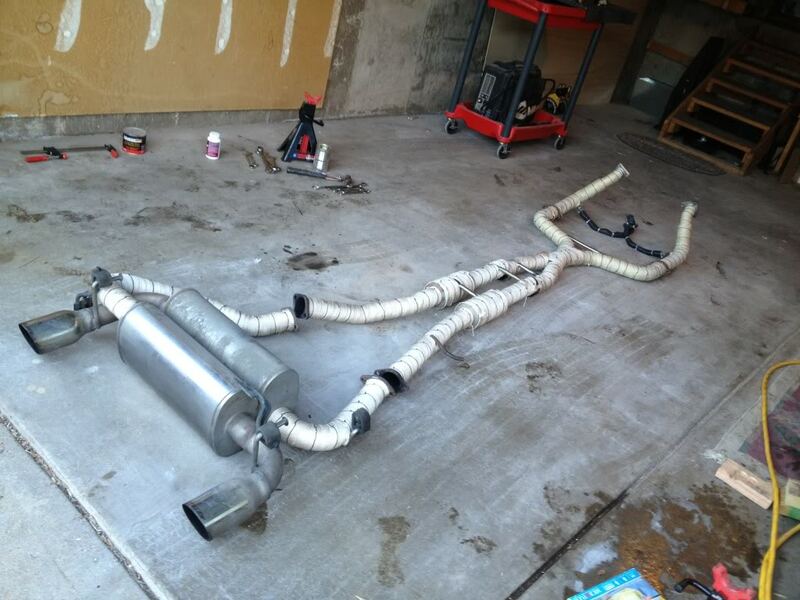 Are you planning on building air channeling ducts? Air will travel along the path of least resistance unless you force it in a direction. Having bigger holes in itself will increase air volume but will not necessarily provide better cooling. I did that on my car which has intercooler, 2x oil coolers, condenser, and radiator stacked and noticed a huge improvement in water temps and oil temps. Last edited by suprasam; 02-17-2013 at 07:25 AM. ^+1. I think you've gotten a bit too concerned about overheating at the expense of aerodynamics and in the process you've lost cooling efficiency also. Air is just going to go around your IC. Combined with the fact that it looks like ***. thanks for the input…I have mixed feelings about the bumper aswell - I bought the bumper for $30, so if it ***** the bed…not a huge loss. It's going to take a some money to get primed and painted as well. 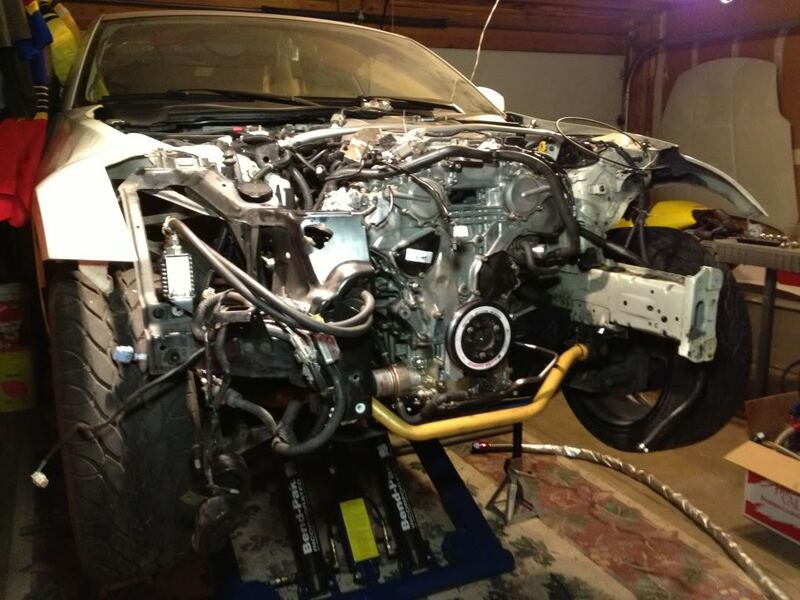 With an aftermarket radiator, oil cooler, t-stat, etc, overheating isn't going to be a big issue. I'd invest in meth if you we're concerned, not to raise boost, but to lower intake temps. I'd invest in meth if you we're concerned, not to raise boost, but to lower intake temps. Word. 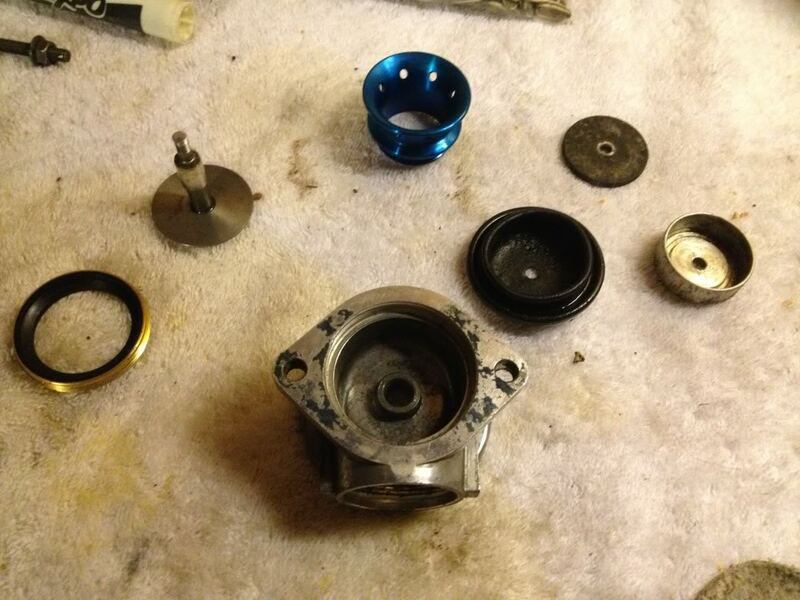 Might also be worth looking into the pathfinder coolant mod and a shroud with high output fans. James, you definitely don't need that large opening on the bumper. Think about the IC air flow capacity, it's approximately 50% of the IC area. Also, you must force air to go through IC core.